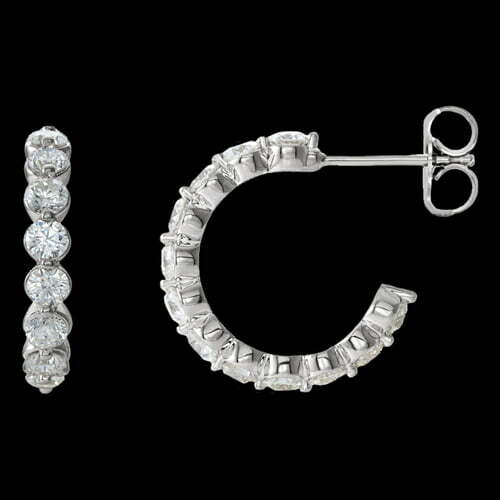 Platinum 1 3/8ctw Diamond Hoop Earrings. Dazzling Platinum diamond earrings are a "J" hoop style and each diamond measures a very noticeable 2.5mm round and there are 24 total. This lovely pair of diamond earrings measures 16.54mm by 2.8mm. Gram weight 3.57grams.